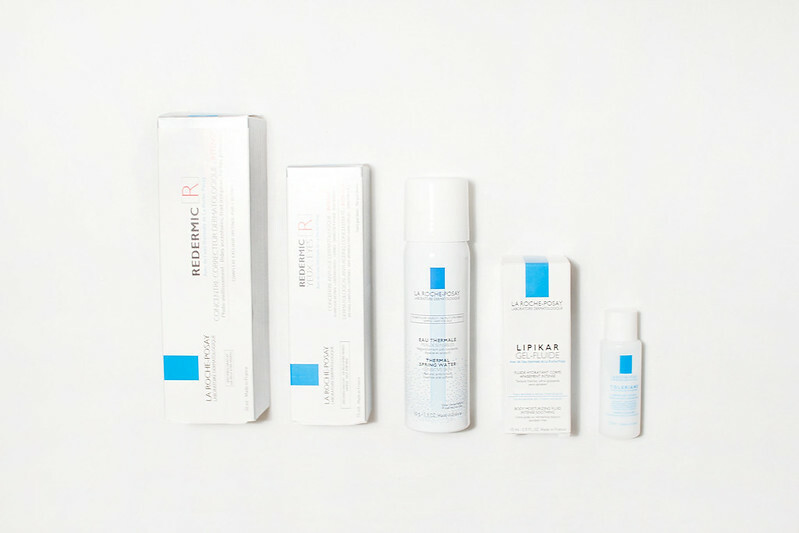 Aiming to reduce the appearance of fine line and wrinkles, La Roche-Posay Redermic R Anti-Age Dermatological Intense transforms the skin's surface by diminishing age spots and unifying the complexion. This is the eye cream version of La Roche-Posay Redermic R Anti-Age Dermatological Intense; again, used to reduce wrinkles, even out the skin tone, and reduce dark circles or spots. I will probably be saving La Roche Posay Thermal Spring Water until we hit warmer weather again since a blast of cold water in the face isn't something I look forward to on a cold winter's day. But despite being a product you'd associate with cooling and refreshing in warmer weather, La Roche Posay Thermal Spring Water can also be used to help set make-up. La Roche-Posay Lipikar Gel Fluid is a body moisturiser that helps to soothe, hydrate, and restore with it's light, quickly absorbed texture. This cleansing milk by La Roche-Posay is ideal for dry skin types, helping to gently removes make-up with it's non-comedogenic formula containing thermal spring water and without using alcohol, soap, colorants, or parabens. Oh now that is a nice collection to be trying. I'll be curious to see what you think of Redermic R Eyes as I suffer terrible with dark circles. Maybe it isn't working with the other products you use? Or maybe it's just not right for your skin type? IDK. This is why I get weird about recommending stuff to people because if it doesn't work it's a total let down. That was the first one I went for. I have terrible 'tired eyes' and even though I am dubious about products claiming to rectify this (I'm pretty sure mine is genetic), I'll give anything a try. I am super excited to try these. LRP is a super fave of mine.